2 Bedroom Terraced House For Sale in Leicester for Asking Price £185,000. This appealing two bedroom mid terrace house offers generous living space throughout and boast a recently upgraded bathroom which is finished to an excellent standard. The property offers scope to extend to the rear (STPP), in line with some neighbouring properties. Internally the property comprise of two reception rooms, kitchen, hallway, landing, two double bedrooms and family bathroom. 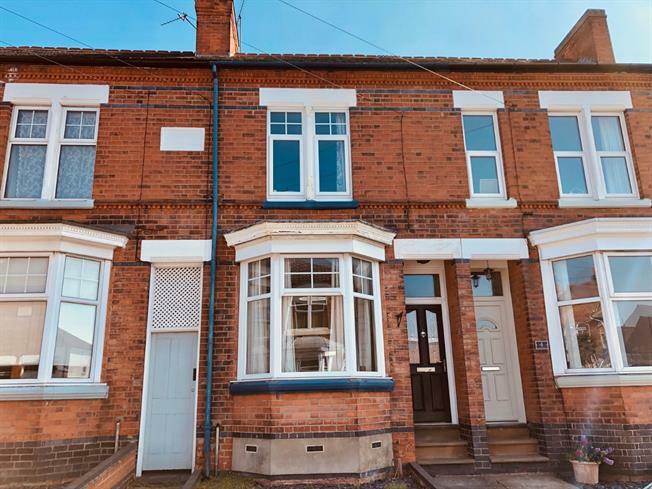 Other main features include gas central heating, double glazing, single glazing in kitchen, original features, appealing flooring, redecorated in most areas, gas hob, improved stairs, built in storage and part laid to lawn rear garden with two outdoor stores. Viewing advised.